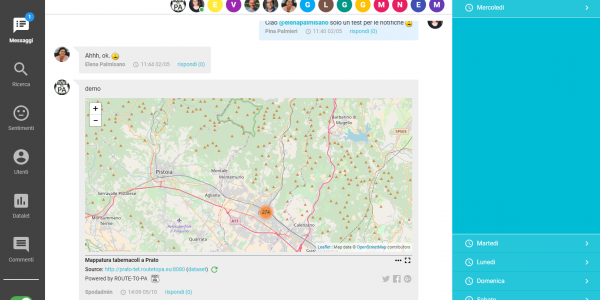 SPOD (Social Platfrom for Open Data) is a social virtual place where citizens can meet together. This is also the meeting point for citizens with their governments. SPOD functionalities have been designed to enable discussion among citizens, foster interpretation and transformation of open data; create data, information and knowledge. Explicitly, we named them “rooms” meaning virtual places where users can meet privately or publicly to discuss, interpret data /information, co-create data or knowledge. Citizens can co-create information or knowledge using the Knowledge Co-Creation room. They can meet in small group to analyse, interpret, transform data producing collaboratively a document. 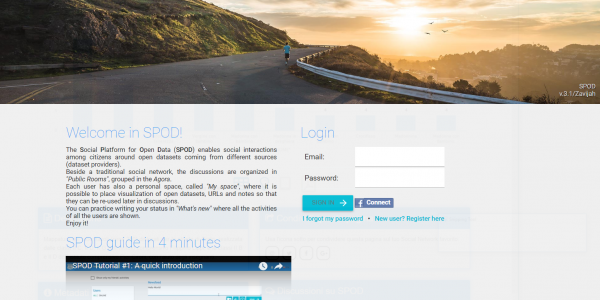 The knowledge document can be shared with other users within the SPOD platform to stimulate discussions or become part of a post blog outside the SPOD boundaries. Choose the chart and configure it. The aim is to stimulate communities of interests. Citizens can meet in on-line communities, where the argumentations are supported by data published by public institutions or cocreated by citizens. This can be a meeting point not only among citizens but a place to interact with their public governments. SPOD has a public place named Agora, recalling the ancient Greek central spaces or squares where people assembled. The SPOD virtual Agora hosts public rooms, each one with a specific topic. Citizens can freely join rooms and discuss together, proposing and supporting their argumentation against or in favour of the topic. 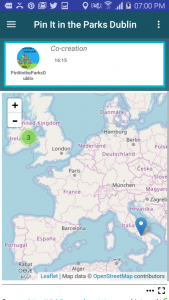 A dataset created in the Data Co-Creation room by a small group of citizens becomes public within the SPOD platform and can be used together with other open data in a public room of the Agora. The same for the document generated in the Knowledge Co-Creation room. The Data Co-Creation rooms are virtual places where small groups of participants meet together to collaboratively create new datasets. The room has a shared spreadsheet that allows users to progressively, collaboratively and interactively build a dataset from scratch or import an existing one to make improvements. A shared spreadsheet means that when a user is making a change to the dataset (e.g., column, cell), other users can see the change in real time. The coordination among users when needed is supported through two communication tools within the room: an instant chat and a threaded chat. The Knowledge Co-Creation room is the SPOD tool where users can remotely meet and digest a particular topic together. This is the place where data and open datasets become piece of information or knowledge emerges. The user can privately create visualisations, annotate texts and links. The idea is that the user can digest and analyse datasets by creating visualisations that will be used during discussions in the public room to support argumentation. 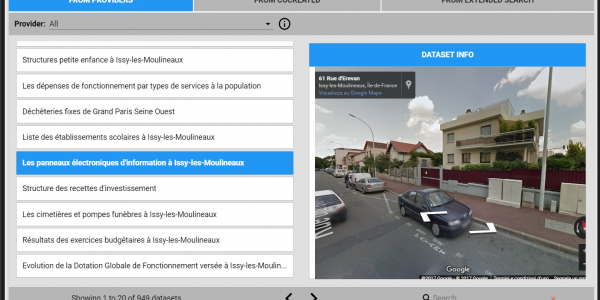 Mobile app of SPOD (Social Platform for Open Data) allows you to join your own SPOD platform. 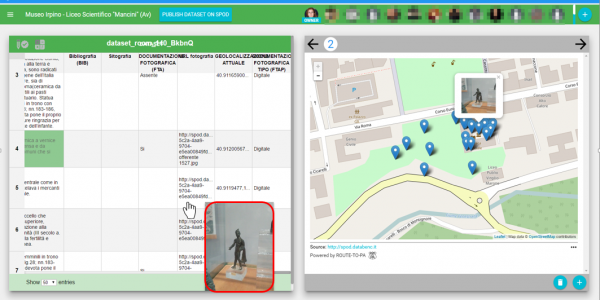 You can join discussion on Agoras and upload geolocalized photos to CoCreation Rooms.